Cydia running on an iPhone X.
iOS jailbreaking is privilege escalation for the purpose of removing software restrictions imposed by Apple on iOS, tvOS and watchOS. It typically does this by using a series of kernel patches. Jailbreaking permits root access to iOS, allowing the installation of software that is unavailable through the official Apple App Store. Apple publicly disapproves of jailbreaking, stating that it can cause device instability. This has led to Apple implementing hardware and software fixes to the vulnerabilities used in jailbreaks, meaning that many versions of iOS are not jailbroken immediately. It is analogous to rooting on Android, although software unavailable on Google Play can be installed on android without rooting. Jailbreaking in general means breaking the device out of its "jail", a metaphor used in Unix-like systems, for example in "FreeBSD jail". A jailbroken iOS device can still function normally, with abilities like phone calling retained. Furthermore, a jailbroken device can be reverted to a factory state, by undergoing the normal restore procedure; however, this does undo any changes made to the device. One of the reasons for jailbreaking is to expand the feature set limited by Apple and its App Store. Apple checks apps for compliance with its iOS Developer Program License Agreement before accepting them for distribution in the App Store. However, their reasons for banning apps are not limited to safety and security and may be regarded as arbitrary and capricious. In one case, Apple mistakenly banned an app by a Pulitzer-Winning cartoonist because it violated its developer license agreement, which specifically bans apps that "contain content that ridicules public figures." To access banned apps, users rely on jailbreaking to circumvent Apple's censorship of content and features. Jailbreaking permits the downloading of programs not approved by Apple, such as user interface customization and tweaks. Since software programs available through Cydia or Sileo are not required to adhere to App Store guidelines, many of them are not typical self-contained apps but instead are extensions and customizations for iOS and other apps (commonly called tweaks). Users install these programs for purposes including personalization and customization of the interface by tweaks developed by developers and designers, adding desired features and fixing annoyances, and making development work on the device easier by providing access to the filesystem and command-line tools. Many Chinese iOS device owners also jailbreak their phones to install third-party Chinese character input systems because they are easier to use than Apple's. Jailbreaking also opens the possibility for using software to unofficially unlock carrier-locked iPhones so they can be used with other carriers. Software-based unlocks have been available since September 2007, with each tool applying to a specific iPhone model and baseband version (or multiple models and versions). This includes the iPhone 4S, iPhone 4, iPhone 3GS, and iPhone 3G models. An example of unlocking an iPhone through a Jailbreak utility would be Redsn0w. Through this software, iPhone users will be able to create a custom IPSW and unlock their device. Moreover, during the unlocking process, there are options to Install Cydia and iPad baseband as well. Computer criminals may jailbreak an iPhone to install malware, or target jailbroken iPhones on which malware can be installed more easily. The Italian cybersecurity company Hacking Team, which sells hacking software to law enforcement agencies, advised police to jailbreak iPhones to allow tracking software to be installed on them. On iPhones, the installation of consumer software is generally restricted to installation through the App Store. Jailbreaking, therefore, allows the installation of pirated applications. It has been suggested that a major motivation for Apple to prevent jailbreaking is to protect the income of its App Store, including third-party developers and allow the buildup of a sustainable market for third-party software. However, the installation of pirated applications is also possible without jailbreaking, taking advantage of enterprise certificates to facilitate distribution of modified or pirated releases of popular applications. When a device is booting, it loads Apple's own kernel initially. The device must then be exploited and have the kernel patched each time it is turned on. An "untethered" jailbreak has the property that if the user turns the device off and back on, the device will start up completely, and the kernel will be patched without the help of a computer – thus enabling the user to boot without the need to use a computer. These jailbreaks are harder to make and take a lot of reverse engineering and years of experience. With a "tethered" jailbreak, a computer is needed to turn the device on each time it is rebooted. If the device starts back up on its own, it will no longer have a patched kernel, and it may get stuck in a partially started state. By using a computer, the phone is essentially "re-jailbroken" (using the "boot tethered" feature of a jailbreaking tool) each time it is turned on. With a tethered jailbreak, the user can still restart SpringBoard ("respring") on the device without needing to reboot. There is also a "semi-tethered" solution, which means that when the device boots, it will no longer have a patched kernel (so it will not be able to run modified code), but it will still be usable for normal functions such as making phone calls, or texting. To use any features that require running modified code, the user must start the device with the help of the jailbreaking tool in order for it to start with a patched kernel (jailbroken). In July 2016, Pangu team introduced the "semi-untethered" jailbreak, which functions like a semi-tethered solution in that when the device boots, it no longer has a patched kernel (and thus access to jailbroken functions,) but also like an untethered device, in that a computer is not required to re-patch the kernel in order to re-enable the jailbreak. It is accomplished by installing an app that re-patches the kernel after rebooting. Jailbreaking of iOS devices has sometimes been compared to "rooting" of Android devices. Although both concepts involve privilege escalation, they differ in scope. Some Android devices allow users to modify or replace the operating system after unlocking the bootloader. Moreover, nearly all Android phones have an option to allow the user to install unknown, 3rd-party apps, so no exploit is needed for normal sideloading. iOS is engineered with security measures including a "locked bootloader" to prevent users from modifying the operating system, and to prevent apps from gaining root privileges; jailbreaking an iOS device to defeat all security measures presents a significant technical challenge. It violates Apple's end-user license agreement for iOS. Until 2015 sideloading apps in general was difficult for most individual users, requiring them to purchase developer membership, while corporations could install private applications onto corporate phones. After 2015, this became free for all users, however doing so requires a basic understanding of Xcode and compiling iOS Apps. Apps installed this way have the restrictions of all other apps. In addition, alternative app stores utilising enterprise certificates have sprung up, offering modified or pirated releases of popular iOS applications and video games, some of which were either previously released through Cydia or are unavailable on the App Store due to them not complying with Apple developer guidelines. The first iPhone worm, iKee, appeared in early November 2009, created by a 21-year-old Australian student in the town of Wollongong. He told Australian media that he created the worm to raise awareness of security issues: jailbreaking allows users to install an SSH service, which those users can leave in the default insecure state. In the same month, F-Secure reported on a new malicious worm compromising bank transactions from jailbroken phones in the Netherlands, similarly affecting devices where the owner had installed SSH without changing the default password. In 2010 blogger John Gruber, who is close to Apple, said that users misunderstood some jailbreak exploits and that they were more serious than they appear. He commented that "it's odd how the press is mostly covering this as 'jailbreaking now more convenient' rather than 'remote code exploit now in the wild'", pointing out that the exploit allowed the creator of a malicious website to take control of iPhones accessing it. Restoring a device with iTunes removes a jailbreak. However, doing so generally updates the device to the latest, and possibly non-jailbreakable, version, due to Apple's use of SHSH blobs. There are applications that aim to prevent this, by restoring the devices to the same version they are currently running whilst removing the jailbreaks. Examples of such tools include Cydia Eraser and Semi-Restore. In 2012, Forbes staff analyzed a UCSB study on 1,407 free programs available from Apple and a third party source. Of the 1,407 free apps investigated, 825 were downloaded from Apple's App Store using the website App Tracker, and 526 from BigBoss (Cydia's default repository). 21% of official apps tested leaked device ID and 4% leaked location. Unofficial apps leaked 4% and 0.2% respectively. 0.2% of apps from Cydia leaked photos and browsing history, while the App Store leaked none. Unauthorized apps tended to respect privacy better than official ones. Also, a program available in Cydia called PrivaCy allows user to control the upload of usage statistics to remote servers. In August 2015 the KeyRaider malware was discovered that affects only jailbroken iPhones. Apple has released various updates to iOS that patch exploits used by jailbreak utilities; this includes a patch released in iOS 6.1.3 to software exploits used by the original evasi0n iOS 6–6.1.2 jailbreak, in iOS 7.1 patching the Evasi0n 7 jailbreak for iOS 7–7.0.6-7.1 beta 3. Bootrom exploits (exploits found in the hardware of the device) cannot be patched by Apple system updates, but can be fixed in hardware revisions such as new chips or new hardware in its entirety, as occurred with the iPhone 3GS in 2009. On July 15, 2011, Apple released a new iOS version that closed the exploit used in JailbreakMe 3.0. The German Federal Office for Information Security had reported that JailbreakMe uncovered the "critical weakness" that information could be stolen or malware unwillingly downloaded by iOS users clicking on maliciously crafted PDF files. Before Apple released a fix for this security hole, jailbreak users had access to a fix published by the developer of JailbreakMe. On January 27, 2015, Apple released iOS 8.1.3 that patched up the exploits used in jailbreak for iOS 8.0-8.1.2. It was not possible to jailbreak until the iOS 8.3 update. The iOS 9.1 update on October 21, 2015, included a patch for the Pangu iOS 9.0-9.0.2 Jailbreak. On August 13, 2015, Apple updated iOS to 8.4.1, patching the TaiG exploit. Pangu and Taig teams both said they were working on exploiting iOS 8.4.1, and Pangu demonstrated these chances at the WWDC 2015. On September 16, 2015, iOS 9 was announced and made available; it was released with a new "Rootless" security system, dubbed a "heavy blow" to the jailbreaking community. On October 21, 2015, seven days after the Pangu iOS 9.0-9.0.2 Jailbreak release, Apple pushed the iOS 9.1 update, which contained a patch that rendered it nonfunctional. On August 4, 2016, Apple released iOS version 9.3.4 to patch the semi-untethered jailbreak for 64-bit devices. On August 25, 2016, Apple released iOS version 9.3.5 to patch three important vulnerabilities used for the secret jailbreak from the Pegasus Malware from the NSO Group. On January 23, 2017, Apple released iOS 10.2.1 to patch jailbreak exploits released by Google for the Yalu iOS 10 jailbreak created by Luca Todesco. On December 2, 2017, iOS 11.2 was released, and included a patch to the async_wake exploit by Ian Beer of Google Project Zero. On May 29, 2018, iOS 11.4 was released, including a patch to 2 exploits (empty_list and multi_path) by Ian Beer of Google Project Zero. On January 22, 2019, iOS 12.1.3 was released, including a patch to an exploit (voucher_swap), found independently by both Brandon Azad of Google Project Zero, and Zhuo Liang of Qihoo 360 Nirvan Team. The legal status of jailbreaking is affected by laws regarding circumvention of digital locks, such as laws protecting digital rights management (DRM) mechanisms. Many countries do not have such laws, and some countries have laws including exceptions for jailbreaking. International treaties have influenced the development of laws affecting jailbreaking. The 1996 World Intellectual Property Organization (WIPO) Copyright Treaty requires nations party to the treaties to enact laws against DRM circumvention. The American implementation is the Digital Millennium Copyright Act (DMCA), which includes a process for establishing exemptions for non-copyright-infringing purposes such as jailbreaking. The 2001 European Copyright Directive implemented the treaty in Europe, requiring member states of the European Union to implement legal protections for technological protection measures. The Copyright Directive includes exceptions to allow breaking those measures for non-copyright-infringing purposes, such as jailbreaking to run alternative software, but member states vary on the implementation of the directive. While Apple technically does not support jailbreaking as a violation of its EULA, jailbreaking communities have generally not been legally threatened by Apple. At least two prominent jailbreakers have been given positions at Apple, albeit in at least one case a temporary one. Apple has also regularly (though possibly somewhat jokingly) thanked jailbreak communities for detecting security holes in iOS release notes. Apple's support article concerning jailbreaking claims that they "may deny service for an iPhone, iPad, or iPod touch that has installed any unauthorized software." Therefore, anyone who is jailbroken, warranty or not, may or may not get support from Apple considering assistance with jailbreaking. In 2010, Electronic Frontiers Australia said that it is unclear whether jailbreaking is legal in Australia, and that anti-circumvention laws may apply. These laws had been strengthened by the Copyright Amendment Act 2006. In November 2012, Canada amended its Copyright Act with new provisions prohibiting tampering with digital locks, with exceptions including software interoperability. Jailbreaking a device to run alternative software is a form of circumventing digital locks for the purpose of software interoperability. There had been several efforts from 2008–2011 to amend the Copyright Act (Bill C-60, Bill C-61, and Bill C-32) to prohibit tampering with digital locks, along with initial proposals for C-11 that were more restrictive, but those bills were set aside. In 2011, Michael Geist, a Canadian copyright scholar, cited iPhone jailbreaking as a non-copyright-related activity that overly-broad Copyright Act amendments could prohibit. India's copyright law permits circumventing DRM for non-copyright-infringing purposes. Parliament introduced a bill including this DRM provision in 2010 and passed it in 2012 as Copyright (Amendment) Bill 2012. India is not a signatory to the WIPO Copyright Treaty that requires laws against DRM circumvention, but being listed on the US Special 301 Report "Priority Watch List" applied pressure to develop stricter copyright laws in line with the WIPO treaty. New Zealand's copyright law allows the use of technological protection measure (TPM) circumvention methods as long as the use is for legal, non-copyright-infringing purposes. This law was added to the Copyright Act 1994 as part of the Copyright (New Technologies) Amendment Act 2008. Jailbreaking might be legal in Singapore if done to provide interoperability and not circumvent copyright, but that has not been tested in court. The law Copyright and Related Rights Regulations 2003 makes circumventing DRM protection measures legal for the purpose of interoperability but not copyright infringement. Jailbreaking may be a form of circumvention covered by that law, but this has not been tested in court. Competition laws may also be relevant. The main law that affects the legality of iOS jailbreaking in the United States is the 1998 Digital Millennium Copyright Act (DMCA), which says "no person shall circumvent a technological measure that effectively controls access to a work protected under" the DMCA, since this may apply to jailbreaking. Every three years, the law allows the public to propose exemptions for legitimate reasons for circumvention, which last three years if approved. In 2010 and 2012, the U.S. Copyright Office approved exemptions that allowed smartphone users to jailbreak their devices legally, and in 2015 the Copyright Office approved an expanded exemption that also covers other all-purpose mobile computing devices, such as tablets. It is still possible Apple may employ technical countermeasures to prevent jailbreaking or prevent jailbroken phones from functioning. It is unclear whether it is legal to traffic in the tools used to make jailbreaking easy. In 2010, Apple announced that jailbreaking "can violate the warranty". This may be affected by the Magnuson-Moss Warranty Act of 1975. In 2007, Tim Wu, a professor at Columbia Law School, argued that jailbreaking "Apple's superphone is legal, ethical, and just plain fun." Wu cited an explicit exemption issued by the Library of Congress in 2006 for personal carrier unlocking, which notes that locks "are used by wireless carriers to limit the ability of subscribers to switch to other carriers, a business decision that has nothing whatsoever to do with the interests protected by copyright" and thus do not implicate the DMCA. Wu did not claim that this exemption applies to those who help others unlock a device or "traffic" in software to do so. In 2010, in response to a request by the Electronic Frontier Foundation, the U.S. Copyright Office explicitly recognized an exemption to the DMCA to permit jailbreaking in order to allow iPhone owners to use their phones with applications that are not available from Apple's store, and to unlock their iPhones for use with unapproved carriers. Apple had previously filed comments opposing this exemption and indicated that it had considered jailbreaking to be a violation of copyright (and by implication prosecutable under the DMCA). Apple's request to define copyright law to include jailbreaking as a violation was denied as part of the 2009 DMCA rulemaking. In their ruling, the Library of Congress affirmed on July 26, 2010 that jailbreaking is exempt from DMCA rules with respect to circumventing digital locks. DMCA exemptions must be reviewed and renewed every three years or else they expire. On October 28, 2012, the US Copyright Office released a new exemption ruling. The jailbreaking of smartphones continued to be legal "where circumvention is accomplished for the sole purpose of enabling interoperability of [lawfully obtained software] applications with computer programs on the telephone handset." However, the U.S. Copyright office refused to extend this exemption to tablets, such as iPads, arguing that the term "tablets" is broad and ill-defined, and an exemption to this class of devices could have unintended side effects. The Copyright Office also renewed the 2010 exemption for unofficially unlocking phones to use them on unapproved carriers, but restricted this exemption to phones purchased before January 26, 2013. 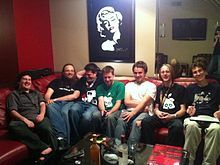 Several people (including saurik, p0sixninja, and geohot) who have contributed to building jailbreaking tools such as AppSnapp, greenpois0n, Absinthe, purplera1n, blackra1n, limera1n, and others. August 2011 at DEF CON. A few days after the original iPhone became available in July 2007, developers released the first jailbreaking tool for it, and soon a jailbreak-only game app became available. In October 2007, JailbreakMe 1.0 (also called "AppSnapp") allowed people to jailbreak iPhone OS 1.1.1 on both the iPhone and iPod touch, and it included Installer.app as a way to get software for the jailbroken device. In February 2008, Zibri released ZiPhone, a tool for jailbreaking iPhone OS 1.1.3 and iPhone OS 1.1.4. The iPhone Dev Team which is not affiliated with Apple, has released a series of free desktop-based jailbreaking tools. In July 2008 it released a version of PwnageTool to jailbreak the then new iPhone 3G on iPhone OS 2.0 as well as the iPod touch, newly including Cydia as the primary third-party installer for jailbroken software. PwnageTool continues to be updated for untethered jailbreaks of newer iOS versions. In November 2008 the iPhone Dev Team released QuickPWN to jailbreak iPhone OS 2.2 on iPhone and iPod touch, with options to enable past functionality that Apple had disabled on certain devices. After Apple released iOS 3.0 in June 2009, the Dev Team published redsn0w as a simple jailbreaking tool for Mac and Windows, and also updated PwnageTool primarily intended for expert users making custom firmware, and only for Mac. It continues to maintain redsn0w for jailbreaking most versions of iOS 4 and iOS 5 on most devices. George Hotz developed the first iPhone unlock. In 2009, he released a jailbreaking tool for the iPhone 3GS on iPhone OS 3.0 called purplera1n, and blackra1n for iPhone OS version 3.1.2 on the 3rd generation iPod touch and other devices. In October 2010, he released limera1n, a low-level boot ROM exploit that permanently works to jailbreak the iPhone 4 and is used as a part of tools including redsn0w. Nicholas Allegra (better known as "comex") released a program called Spirit in May 2010. Spirit jailbreaks devices including iPhones running iPhone OS 3.1.2, 3.1.3, and iPad running iOS 3.2 In August 2010, comex released JailbreakMe 2.0, the first web-based tool to jailbreak the iPhone 4 (on iOS 4.0.1). In July 2011, he released JailbreakMe 3.0, a web-based tool for jailbreaking all devices on certain versions of iOS 4.3, including the iPad 2 for the first time (on iOS 4.3.3). In 2011, JailbreakMe 3.0 used a flaw in PDF file rendering in mobile Safari. Chronic Dev Team initially released greenpois0n in October 2010, a desktop-based tool for jailbreaking iOS 4.1 and later iOS 4.2.1 on most devices including the Apple TV, as well as iOS 4.2.6 on CDMA (Verizon) iPhones. As of December 2011, redsn0w included the "Corona" untether by pod2g for iOS 5.0.1 for iPhone 3GS, iPhone 4, iPad (1st generation), and iPod touch (3rd and 4th generation). As of June 2012, redsn0w also includes the "Rocky Racoon" untether by pod2g for iOS 5.1.1 on all iPhone, iPad, and iPod touch models that support iOS 5.1.1. The iPhone Dev Team, Chronic Dev Team, and pod2g collaborated to release Absinthe in January 2012, a desktop-based tool to jailbreak the iPhone 4S for the first time and the iPad 2 for the second time, on iOS 5.0.1 for both devices and also iOS 5.0 for iPhone 4S. In May 2012 it released Absinthe 2.0, which can jailbreak iOS 5.1.1 untethered on all iPhone, iPad, and iPod touch models that support iOS 5.1.1, including jailbreaking the third-generation iPad for the first time. The hackers together called the evad3rs released an iOS 6.X jailbreak tool called "evasi0n" available for Linux, OS X, and Windows on Monday, February 4, 2013 at noon Eastern Standard Time. Due to the high volume of interest in downloading the jailbreak utility, the site initially gave anticipating users download errors. When Apple upgraded its software to iOS 6.1.3 it permanently patched out the evasi0n jailbreak. In April 2013, the latest versions of Sn0wbreeze was released, which added the support for tethered jailbreaking on A4 devices (i.e. devices not newer than the iPhone 4, iPad (1st generation), or iPod touch (4th generation)). On December 22, 2013, the evad3rs released a new version of evasi0n that supports jailbreaking iOS 7.0.x, known as evasi0n7. On December 30, 2013, winocm, ih8sn0w and SquiffyPwn released p0sixspwn for untethering devices on iOS 6.1.3 – 6.1.5. Initially, it was necessary to jailbreak tethered using redsn0w and install p0sixpwn at Cydia. A few days later, on January 4, 2014, the same team released a version of p0sixpwn for jailbreaking using a computer. iOS 7.1 patched the exploits used by evasi0n7, and on June 23, 2014, Pangu, a Chinese untethered jailbreak was released for iOS 7.1. On October 22, 2014, Pangu Team released Pangu8 to jailbreak all devices running iOS 8-8.1. The first versions did not bundle Cydia, nor was there an iOS 8 compatible version of Cydia at the time. On November 29, 2014, TaiG team released their jailbreak tool called "TaiG" for devices running iOS 8.0-8.1.1. On December 10, 2014, the app was updated to include support for iOS 8.1.2. On July 3, 2015, TaiG 2.3.0 was released, which includes support for iOS 8.0-8.4. On 10 September 2015, 6 days before iOS 9 was released, iH8sn0w had demonstrated a working exploit on his Twitter page, linking to a YouTube video. On October 14, 2015, Pangu Team released Pangu 9, their jailbreak tool for iOS 9.0 through 9.0.2. On March 11, 2016, Pangu Team updated their tool to support iOS 9.1 for 64-bit devices. On July 17, 2016, Pangu Team released Pangu93, a semi-untethered jailbreak tool for iOS 9.2-9.3.3. It was the first semi-untethered jailbreak and at the same time made within a sideloaded app, and included support only for 64bit devices. On mid-March 2017, jk9357 (aka @REALKJCMEMBER), part of the KJC (Kim Jong Cracks) hacking team released the first semi-untethered jailbreak for 32bit devices on 9.1-9.3.4. This jailbreak made use of some of the Pegasus vulnerabilities. On August 6, 2017, Siguza and Tihmstar released the semi-untethered Phoenix jailbreak for 32-bit devices on iOS 9.3.5. On September 19, 2017, tihmstar released EtasonJB, a jailbreak for all 32-bit devices on iOS 8.4.1. An exploit was found so that users of the 9.3.5 Phoenix jailbreak could downgrade to 8.4.1 without the use of SHSH blobs as 8.4.1 is an unsigned version of iOS. On October 15, 2017, the hacker Abraham Masri (known on Twitter as @cheesecakeufo) released the Saïgon jailbreak for all 64-bit devices on iOS 10.2.1. On December 6, 2017, Abraham Masri released Houdini, the first semi-jailbreak for iOS 10, compatible with iOS 10.x up to 10.3.2 for all 64-bit devices. The application allows installation of themes, resolution changes etc. from basic Cydia repos. It is untethered, but it needs to run the exploit again to install content. The tool has been updated to beta revision 1, adding the compatibility with iOS 11 up to 11.1.2. On December 11, 2017, Ian Beer released async_wake, an iOS 11.0 up to 11.1.2 exploit that allows tfp0. The exploit has been updated and it has allowed jailbreak apps on jailed devices such as FilzaJailed, FilzaEscaped (which allows root access on a jailed device), MTerminal-Jailed by AppleBetas (which allows the execution of commands on a jailed device) and Torngat by 1GamerDev (a tweak manager that can set a boot logo, change resolution, disable OTA updates and more on a jailed device). On December 23, 2017, Abraham Masri released to.panga, an iOS 11 up to 11.1.2 WIP jailbreak for developers based on the async_wake exploit by Ian Beer. It has Cydia included but since the jailbreak used a KPPless exploit, Cydia and Substrate have to be rewritten. Abraham Masri has since stated that the project wouldn't be updated due to other tools with the same goal. On December 24, 2017, tihmstar released H3lix, a semi-untethered jailbreak for all 32-bit devices, compatible with all iOS 10 versions. On December 26, 2017 the hacker Jonathan Levin (known on Twitter as @Morpheus____) released LiberiOS, a WIP developer-only jailbreak based on the async_wake exploit by Ian Beer for iOS 11.0 to iOS 11.1.2. Jonathan Levin later stated that LiberiOS would not be officially released with Cydia. On February 26, 2018, developer Coolstar (known on Twitter as @coolstarorg) released a public version of the Electra jailbreak for iOS devices on 11.0–11.1.2. This jailbreak uses a KPPless exploit. As Cydia Substrate has not been updated for iOS 11, Electra uses a Substrate alternative known as Substitute. On June 6, 2018, Abraham Masri released an update to Houdini, the first semi-jailbreak. The tool has been updated to beta 3 revision 1, adding the compatibility with iOS 11 up to 11.3.1. On July 6, 2018, developer Coolstar (known on Twitter as @coolstarorg) released a public version of the Electra jailbreak for iOS devices on 11.0-11.3.1. This jailbreak uses a KPPless exploit. As Cydia Substrate has not been updated for iOS 11, Electra uses a Substrate alternative known as Substitute. On August 17, 2018, developer Ben Sparkes released a public version of Meridian, a jailbreak for iOS versions 10.x on all 64-bit devices. On September 3, 2018, a web-based jailbreak called "Totally Not Spyware" was released by an unknown user named "JakeBlair420". It eventually came out that it was developed by FoxletFox, Ben Sparkes, littlelailo, s1guza, stek29, and was based on the works of 5aelo, Ian Beer, Niklas B, Jamie Bishop, Lucas Todesco, REALKJCMEMBER, Sam Bingner, sticktron, theninjaprawn, tihmstar, and xerub. It used a WebKit-based exploit to bootstrap either Meridian or doubleh3lix. On October 14, 2018, former Electra team member and developer Pwn20wnd (known on Twitter as @Pwn20wnd) released a public version of the unc0ver jailbreak for iOS devices on 11.0–11.4.1. This jailbreak uses the three KPPless exploits provided by Ian Beer for iOS 11 (async_wake, empty_list and multi_path). Pwn20wnd also worked with Jay Freeman, the original developer of Cydia, to get Cydia Substrate reupdated to iOS 11. It was released on December 17, 2018. On February 22, 2019, developer (Pwn20wnd) released a public update for the unc0ver jailbreak for iOS devices on 12.0–12.1.2. This version of unc0ver uses exploits provided by Tihmstar and SorryMyBad for iOS 12 (v1ntex and voucher_swap). Pwn20wnd once again worked with Jay Freeman to get Cydia and Cydia Substrate updated to work on iOS 12. ^ The Verizon CDMA iPhone 4 ran on iOS 4.2.5 to 4.2.10, with incremental updates being bugfixes that were simultaneously applied from 4.3.1 to 4.3.5. ^ "Unauthorized modification of iOS can cause security vulnerabilities, instability, shortened battery life, and other issues". Apple Support. Retrieved March 12, 2019. ^ Mike Keller (February 13, 2012). "Geek 101: What Is Jailbreaking?". PCWorld. IDG. Retrieved February 15, 2012. ^ Chris Foresman (December 13, 2010). "iPhone jailbreaker set to bring Cydia to Mac OS X". Ars Technica. Condé Nast. Retrieved August 2, 2011. ^ Steve Kovach (13 April 2013). "Frustration Builds With Apple's Inconsistent Rules For App Developers". Business Insider. ^ Ryan Singel (April 15, 2010). "Apple App Store Bans Pulitzer-Winning Satirist for Satire". Wired. Retrieved February 12, 2011. ^ "Rejected Apps". imore.com. Retrieved 2017-02-19. ^ "Jailbreak! New Rules Allow Unapproved iPhone Apps". Fox News. 2015-03-27. ^ a b Adam Dachis (March 14, 2011). "How to Get the Most Out of Your Jailbroken iOS Device". Lifehacker. Gawker Media. Retrieved August 2, 2011. ^ Jenna Wortham (May 12, 2009). "Unofficial Software Incurs Apple's Wrath". The New York Times. Retrieved August 2, 2011. ^ Zdziarski, Jonathan (2008). iPhone Open Application Development: Write Native Applications Using the Open Source Tool Chain. pp. 3–4. ISBN 9780596554187. ^ Landau, Ted (2009). Take control of your iPhone. p. 107. ISBN 9781933671543. ^ Nathan T. Washburn (May 4, 2012). "Apple Discovers a New Market in China: Rich Boyfriends". HBR Blog Network. Harvard Business Review. Retrieved January 9, 2013. ^ Brian X. Chen (August 7, 2009). "6 Reasons to Jailbreak Your iPhone". Gadget Lab. Wired. Retrieved May 1, 2012. ^ Ryan Block (September 11, 2007). "iUnlock released: the first free, open source iPhone SIM unlock software". Engadget. Aol. Retrieved February 1, 2014. ^ Ian Paul (December 22, 2008). "3G iPhone Unlock Expected". PCWorld. IDG. Retrieved May 1, 2012. ^ Fleishman, Glen (2015-07-06). "Hacking Team hack reveals why you shouldn't jailbreak your iPhone". MacWorld. Retrieved 2 August 2015. ^ Heath, Alex (2011-11-25). "New Jailbreak App Stalks All Of Your iPhone's Activity And Makes It Available Online". Cult of Mac. Retrieved 2 August 2015. ^ Hattersley, Lou. "Now pirated iOS apps can be installed without jailbreak". Macworld. Retrieved 2 August 2015. ^ Kazmucha, Allyson (2012-05-26). "Jailbreak, app piracy, and the true cost of theft". iMore. Retrieved 2 August 2015. ^ Panzarino, Matthew (1 January 2013). "iOS App Piracy Continues, Now Without Jailbreak". The Next Web. Retrieved 4 May 2018. ^ a b c d Joseph Volpe (January 20, 2012). "Absinthe A5 jailbreak released for iPhone 4S, Hacker Dream Team makes untethered dreams come true". Engadget. Aol. Retrieved January 20, 2012. ^ a b c John Paul Titlow (January 20, 2012). "Now You Can Jailbreak Your iPhone 4S and iPad 2". ReadWriteWeb. Archived from the original on January 22, 2012. Retrieved January 20, 2012. ^ Fish, Elizabeth (October 24, 2011). "Semi-tethered iOS 5 Jailbreak Developed, Useful On The Move". PCWorld. IDG. Retrieved April 22, 2012. ^ "HTC Bootloader Unlock Instructions". htcdev.com. Retrieved 26 October 2014. ^ "Official Bootloader Unlock instructions". sonymobile.com. ^ "#unlocking-the-bootloader Google instructions on bootloader unlocking". source.android.com. Archived from the original on May 21, 2011. Retrieved October 26, 2014. ^ Hildenbrand, Jerry (2 Feb 2012). "Android A to Z: What is sideloading?". Android Central. Retrieved 9 July 2014. ^ "Unauthorized modification of iOS can cause security vulnerabilities, instability, shortened battery life, and other issues". Apple Support. Retrieved 9 July 2014. [U]nauthorized modification of iOS is a violation of the iOS end-user software license agreement and because of this, Apple may deny service for an iPhone, iPad, or iPod touch that has installed any unauthorized software. ^ Mayo, Benjamin (10 June 2015). "Xcode 7 allows anyone to download, build and 'sideload' iOS apps for free". ^ Brigid Andersen (November 9, 2009). "Australian admits creating first iPhone virus". ABC Online. Retrieved October 26, 2011. ^ "New iPhone worm can act like botnet say experts". BBC News. November 23, 2009. Retrieved April 10, 2010. ^ Mikko (November 22, 2009). "Malicious iPhone Worm". News from the Lab. F-secure. Retrieved April 10, 2010. ^ Gruber, John. "PDF security exploit". Daring Fireball. Retrieved 15 August 2015. ^ Adrian Kingsley-Hughes (May 28, 2011). "'Should I Jailbreak My iPhone?' And Other Jailbreaking Questions Answered". Tech. Forbes. Retrieved November 14, 2012. ^ Sharon Vaknin (June 27, 2012). "How to unjailbreak your iPhone, iPad, or iPod Touch and is illegal". CNET. CBS Interactive. Retrieved November 14, 2012. ^ Christopher Breen (December 29, 2008). "The Best IPhone Apps Not in the App Store". PCWorld. IDG. Retrieved November 14, 2012. ^ a b Greenberg, Andy (February 14, 2012). "Unauthorized iPhone And iPad Apps Leak Private Data Less Often Than Approved Ones". Tech. Forbes. Retrieved February 15, 2012. ^ Joseph Steinberg (August 31, 2015). "Massive iPhone User Data Breach: What You Need to Know". Inc. Retrieved September 2, 2015. ^ "Apple adds jailbreak resistance to recent iPhone 3GS models". 2009-10-14. Retrieved 2015-06-20. ^ a b Perez, Sarah. "Apple's iOS 9.1 Shuts Down The Pangu Hacking Team's Jailbreak". TechCrunch. Retrieved 2015-11-11. ^ "Taig and Pangu working on Jailbreak for IOS 8.4.1". Archived from the original on 23 September 2015. ^ "iOS 9's Rootless security system dubbed as a 'heavy blow' to jailbreak community". 2015-05-22. Retrieved 10 October 2015. ^ "About the security content of iOS 10.2.1". Apple Support. Retrieved 2017-03-19. ^ a b Duncan Geere (July 28, 2010). "Investigation: Is it legal to jailbreak a UK iPhone?". Wired UK. Retrieved October 26, 2012. ^ Greenberg, Andy. "iPhone Uber-Hacker Comex Is Out At Apple". Forbes. Retrieved 15 August 2015. ^ Heath, Alex (2014-02-21). "After Doing "Insane Things With iOS," Jailbreak Hacker Winocm Joins Apple". Cult of Mac. Retrieved 22 November 2015. ^ "8.4.1 release notes". Apple. Retrieved 15 August 2015. ^ "Unauthorized modification of iOS can cause security vulnerabilities, instability, shortened battery life, and other issues". Apple Support. Retrieved 2017-02-14. ^ Rosalyn Page (August 5, 2010). "Could jailbreaking your iPhone land you in jail?". PC & Tech Authority. Retrieved January 21, 2013. ^ Michael Geist (November 7, 2012). "Canadian Copyright Reform In Force: Expanded User Rights Now the Law". michaelgeist.ca. Retrieved November 13, 2012. ^ "Canada's C-11 Bill and the Hazards of Digital Locks Provisions". Electronic Frontier Foundation. February 10, 2012. Retrieved October 17, 2012. ^ The Canadian Press (October 13, 2011). "Phone 'jailbreaking' allows users to hack their phone". CTV News. Retrieved October 17, 2012. ^ a b Pranesh Prakash (April 29, 2010). "Technological Protection Measures in the Copyright (Amendment) Bill, 2010". Centre for Internet and Society. Retrieved November 10, 2012. ^ a b Nate Anderson (April 22, 2010). "India's copyright proposals are un-American (and that's bad)". Ars Technica. Condé Nast. Retrieved November 10, 2012. ^ Pranesh Prakash (May 23, 2012). "Analysis of the Copyright (Amendment) Bill 2012". Centre for Internet and Society. Retrieved November 10, 2012. ^ Michael Geist (April 10, 2008). "New Zealand's Digital Copyright Law Demonstrates Anti-Circumvention Flexibility". Michael Geist. Retrieved October 26, 2012. ^ Stephen Bell (September 30, 2011). "Law changes required before NZ ratifies ACTA". ComputerWorld New Zealand. Archived from the original on September 30, 2011. Retrieved October 26, 2012. ^ Kenny Chee (August 12, 2010). "iPhone jailbreak may be legal here, but... But there will be certain legal provisions". DigitalOne. AsiaOne. Archived from the original on August 15, 2010. Retrieved November 10, 2012. ^ Jim Martin (March 14, 2012). "How to jailbreak your iPhone: Unleash the full potential of your iPhone". PC Advisor. Retrieved January 21, 2013. ^ Warwick Ashford (July 30, 2010). "iPhone jailbreaking is 'okay under EU law'". Computer Weekly. Electronics Weekly. Retrieved January 21, 2013. ^ Copyright Office, Library of Congress (October 2012). "Exemption to Prohibition on Circumvention of Copyright Protection Systems for Access Control Technologies" (PDF). Federal Register. Retrieved February 3, 2014. ^ David Goldman (July 26, 2010). "Jailbreaking iPhone apps is now legal". CNN Money. Retrieved September 11, 2010. ^ "Exemption to Prohibition on Circumvention of Copyright Protection Systems for Access Control Technologies". Federal Register. The United States Government. October 28, 2015. Retrieved November 20, 2015. ^ a b "Transcript of "Jailbreak?" (July 30, 2010)". On The Media. July 30, 2010. Archived from the original on July 31, 2010. Retrieved September 11, 2010. ^ Leander Kahney (July 26, 2010). "Apple's Official Response To DMCA Jailbreak Exemption: It Voids Your Warranty". Cult Of Mac. Retrieved October 26, 2011. ^ a b Tim Wu (October 4, 2007). "The iPhone Freedom Fighters". Technology. Slate. Retrieved October 26, 2011. ^ "Federal Register: Exemption to Prohibition on Circumvention of Copyright Protection Systems for" (PDF). Retrieved September 11, 2010. ^ "Copyright office provides exemption to DMCA". United States Copyright Office. February 12, 2009. Retrieved July 17, 2009. ^ Declan McCullagh (July 26, 2010). "Feds say mobile-phone jailbreaking is OK". CNET. CBS Interactive. Retrieved October 26, 2011. ^ "Exemption to Prohibition on Circumvention of Copyright Protection Systems for Access Control Technologies" (PDF). U.S. Copyright Office. Retrieved October 31, 2012. ^ a b Timothy B. Lee (October 25, 2012). "Jailbreaking now legal under DMCA for smartphones, but not tablets". Ars Technica. Condé Nast. Retrieved October 26, 2012. ^ "New DMCA Exemptions Allow Rooting Phones (But Not Tablets), Unapproved Phone Unlocks Will Be A Thing Of The Past". Android Police. 2012-10-27. Retrieved October 31, 2012. ^ a b Ricker, Thomas (July 10, 2007). "iPhone Hackers: "we have owned the filesystem"". Engadget. Retrieved July 17, 2009. ^ Topolsky, Joshua (August 6, 2007). "First third-party "game" app appears for iPhone". Engadget. Retrieved July 17, 2009. ^ Gregg Keizer (October 29, 2007). "Hacker Software Can Install Unauthorized Software on iPhones". PCWorld. IDG. Retrieved August 25, 2011. ^ Block, Ryan (February 12, 2008). "ZiPhone: jailbreak any version iPhone out of the box, including 1.1.3 (by Zibri)". Engadget. Retrieved November 13, 2013. ^ Charlie Sorrel (July 21, 2008). "Pwnage 2.0 Released: Gadget Lab Jailbreaks iPod Touch". Gadget Lab. Wired. Retrieved November 2, 2011. ^ a b Philip Elmer-DeWitt (July 20, 2008). "Dubious achievement: Hackers 'jailbreak' the iPhone 3G". CNN Money. Retrieved October 26, 2011. ^ Erica Sadun (July 20, 2008). "First Look: Pwnage for 2.0". TUAW. Retrieved November 1, 2011. ^ Dev Team (May 2011). "Tic tac toe..." Dev Team Blog. Retrieved November 2, 2011. ^ a b c d e iPhone Dev Team (December 27, 2011). "Untethered holidays". Dev Team Blog. Retrieved December 29, 2011. ^ Charlie Sorrel (November 25, 2008). "QuickPWN Adds Street View to iPod Touch". Gadget Lab. Wired. Retrieved November 2, 2011. ^ Daniel Pan (June 23, 2009). "How to Use Cydia on your iPhone". iPhoneByte. Retrieved November 2, 2015. ^ a b Elizabeth Fish (October 13, 2011). "iOS 5 Jailbreak Is Already Here; Geeks Not Surprised". PCWorld. IDG. Retrieved October 26, 2011. ^ Leslie Katz (July 3, 2009). "iPhone 3GS jailbreak, 'purplera1n,' hits Web". CNET. CBS Interactive. Retrieved November 2, 2011. ^ Charlie Sorrel (November 5, 2009). "BlackRa1n Plus Blacksn0w: Unlock Any iPhone in Seconds". Gadget Lab. Wired. Retrieved November 2, 2011. ^ Thomas Ricker (June 7, 2011). "iOS 5 jailbroken". Engadget. Aol.com. Retrieved October 26, 2011. ^ a b Dan Goodin (May 3, 2010). "Hackers release jailbreak for iPad and newer iPhones". The Register. Retrieved October 26, 2011. ^ a b John D. Sutter (August 2, 2010). "First iPhone 4 'jailbreak' posted online". CNN Tech. CNN. Archived from the original on February 3, 2012. Retrieved October 26, 2011. ^ Sean Hollister (August 1, 2010). "Official: iPhone 4 jailbreak hits from iPhone Dev Team (updated with video)". Engadget. Retrieved September 11, 2010. ^ Andy Greenberg (August 1, 2011). "Meet Comex, The 19-Year-Old iPhone Uber-Hacker Who Keeps Outsmarting Apple". Forbes. Retrieved December 23, 2012. ^ a b Eric Mack (July 6, 2011). "App enables iPad 2 jailbreak from your browser". CNET. CBS Interactive. Retrieved October 26, 2011. ^ P. J. Connolly (July 15, 2011). "Apple Fixes Latest iOS Exploit". eWEEK Labs. eWEEK. Retrieved October 23, 2011. ^ jean (July 18, 2011). "Analysis of the jailbreakme v3 font exploit". Sogeti ESEC Lab. Archived from the original on July 22, 2011. Retrieved October 23, 2011. ^ David Murphy (October 9, 2010). "iPhone Hackers Square Off With Competing iOS 4 Jailbreaks". PCMag. Retrieved November 2, 2011. ^ Charlie Sorrel (February 4, 2011). "Untethered iOS 4.2.1 Jailbreak Live". Gadget Lab. Wired. Retrieved November 2, 2011. ^ Elizabeth Fish (October 20, 2010). "Oh Hai! Apple TV Officially Hacked". PCWorld. IDG. Retrieved November 2, 2011. ^ Blair Hanley Frank (February 7, 2011). "Verizon iPhone Now Available for Jailbreaking". PCWorld. IDG. Retrieved November 2, 2011. ^ Edgar Alvarez (June 4, 2012). "Newest version of ultrasn0w unlocks iPhone 4, 3GS on iOS 5.1.1, RedSn0w 0.9.12b1 also released". Engadget. Aol. Retrieved June 16, 2012. ^ a b c Eric Mack (January 20, 2012). "Fly, be free! Jailbreak for iPhone 4S, iPad 2 released". CNET. CBS Interactive. Retrieved January 22, 2012. ^ a b c d e McKinley Noble (January 20, 2012). "How to Jailbreak Your iPhone 4S and iPad 2 via Absinthe A5". PCWorld. IDG. Retrieved January 22, 2012. ^ Adrian Kingsley-Hughes (May 26, 2012). "Untethered Jailbreak For Your iOS 5.1.1 iPhone/iPad/iPod Touch Is Here". Tech. Forbes. Retrieved June 1, 2012. ^ "iOS 6.1.4 Software Update". apple.com. ^ "Silv3rwind iOS 6.1.3 Jailbreak Is A Scam !". Ujailbreakiphone. Retrieved June 3, 2013. ^ "Icysn0w iOS 6.1.3 Jailbreak Is Fake !". Ujailbreakiphone. Retrieved June 3, 2013. ^ "Sn0wbreeze v2.9.14 Download Available With Support For iOS 6.1.3 Jailbreak". redsn0w. 2013-04-18. Retrieved June 27, 2013. ^ "Download TaiG 1.2.0 To Jailbreak iOS 8.1.2". 2014-12-10. Retrieved 10 December 2014. ^ "TaiG Update Log". Retrieved 3 July 2015. ^ "iH8sn0w on Twitter: "iOS 9 Fun"". Retrieved October 10, 2015. ^ "iOS 9 has been jailbroken". Retrieved 16 October 2015. ^ "Pangu Team Releases iOS 9 Jailbreak For The iPhone, iPad And iPod Touch". 2015-10-14. Retrieved 16 October 2015. ^ "The first iOS 9 jailbreak is here". 2015-10-14. Retrieved 16 October 2015. ^ "Pangu releases 9.2-9.3.3 jailbreak". 2016-07-24. Retrieved 24 July 2016. ^ "Home Depot jailbreak released". 2017-03-21. Retrieved 21 March 2017. ^ "iOS 10 jailbreak beta released (but stay away for now)". 2016-12-22. Retrieved 2017-04-06. ^ a b "CoolStar (@coolstarorg) - Twitter". Twitter.com. Retrieved March 22, 2019. ^ a b Iqbal, Shaeel. "Electra Jailbreak for iOS 11.0 - iOS 11.1.2 [Release] - iOSNation". iosnation.com. Retrieved 2018-02-27. ^ "Houdini 'semi-jailbreak' updated to beta 3 with support for iOS 11.3.1". iDownloadBlog.com. 2018-06-06. Retrieved 2018-07-17. ^ "sparkey (@iBSparkes) - Twitter". Twitter.com. Retrieved March 22, 2019. ^ "Meridian: iOS 10.x Jailbreak". meridian.sparkes.zone. Retrieved March 22, 2019. ^ "⁢". totally-not.spyware.lol. Retrieved March 22, 2019. ^ "unc0ver jailbreak for iOS 11.0: 12.1.2. Contribute to pwn20wndstuff/Undecimus development by creating an account on GitHub". March 22, 2019. Retrieved March 22, 2019 – via GitHub. ^ iPhone Dev Team. "How to Escape Jail". Archived from the original on October 5, 2007. ^ "The iPhone / iTouch tif exploit is now officially released!". October 10, 2007. Archived from the original on April 2, 2012. Retrieved August 23, 2012. ^ Ryan Block (October 10, 2007). "iPhone and iPod touch v1.1.1 full jailbreak tested, confirmed!". Engadget. Aol. Retrieved August 24, 2012. ^ PatrickJ (February 1, 2009). "redsn0w Tethered Jailbreak for iPod Touch 2G Released". iSource. Retrieved August 24, 2012. ^ Justin Berka (February 3, 2009). "Redsn0w lite jailbreak for 2nd-gen iPod touch released". Ars Technica. Condé Nast. Retrieved January 9, 2013. ^ Ross Miller (June 20, 2009). "Pwnage Tool for iPhone OS 3.0 now live, ultrasn0w still on standby". Engadget. Aol. Retrieved October 26, 2011. ^ Daniel Brusilovsky (July 3, 2009). "First iPhone 3GS Jailbreak Hits The Web". TechCrunch. The Washington Post. Retrieved October 26, 2011. ^ Mike Keller (June 23, 2010). "Does Jailbreaking Still Make Sense with iOS 4.0?". PCWorld. IDG. Retrieved October 26, 2011. ^ John Herrman (June 8, 2010). "iOS 4 Jailbroken Within a Day of First Release". Gizmodo. Retrieved November 2, 2011. ^ Donald Melanson (October 20, 2010). "Apple TV now jailbreakable with PwnageTool 4.1". Engadget. Aol. Retrieved May 22, 2012. ^ a b c d e f g h Mathew J. Schwartz (July 7, 2011). "Apple iOS Zero-Day PDF Vulnerability Exposed". InformationWeek. Archived from the original on July 10, 2011. Retrieved October 23, 2011. ^ a b c d e Mike Keller (August 23, 2011). "Jailbreaking 101: Which Tool to Use to Hack Your iDevice". PCWorld. IDG. Retrieved October 23, 2011. ^ a b c Sarah Jacobsson Purewal (October 18, 2011). "How to Jailbreak Your iOS 5 Device". PCWorld. IDG. Retrieved October 23, 2011. ^ a b iPhone Dev Team (March 7, 2012). "March Mayhem". Dev Team Blog. Retrieved April 22, 2012. ^ a b Edgar Alvarez (April 21, 2012). "RedSn0w updated for Mac and Windows: adds Corona A5 jailbreak, other tools". Engadget. Retrieved April 22, 2012. ^ "Dev-Team Blog – Pre-DC". Dev-Team Blog. June 4, 2012. Retrieved May 30, 2013. ^ "Jailbreak iOS 6.1.3 On Pre-A5 iPhone And iPod touch Using Redsn0w [How-To Tutorial]". Redmond Pie. March 20, 2013. Retrieved May 30, 2013. ^ a b "evasi0n iOS 7.0.x Jailbreak – official website of the evad3rs". Archived from the original on February 4, 2013. ^ a b c d "Pangu Untethered Jailbreak of iOS 7.1.1 Has Been Released". 2014-06-23. ^ tihmstar (6 August 2017). "Releasing Phoenix jailbreak for iOS 9.3.5 now!". @tihmstar. Retrieved 2017-12-19. ^ "EtasonJB". etasonjb.tihmstar.net. Retrieved 2017-12-19. ^ Sparkes, Ben. "Meridian: iOS 10.x Jailbreak". meridian.sparkes.zone. Retrieved 2018-06-22. This page was last edited on 22 April 2019, at 09:15 (UTC).